Updated kitchen and updated bathrooms in this end unit townhome. 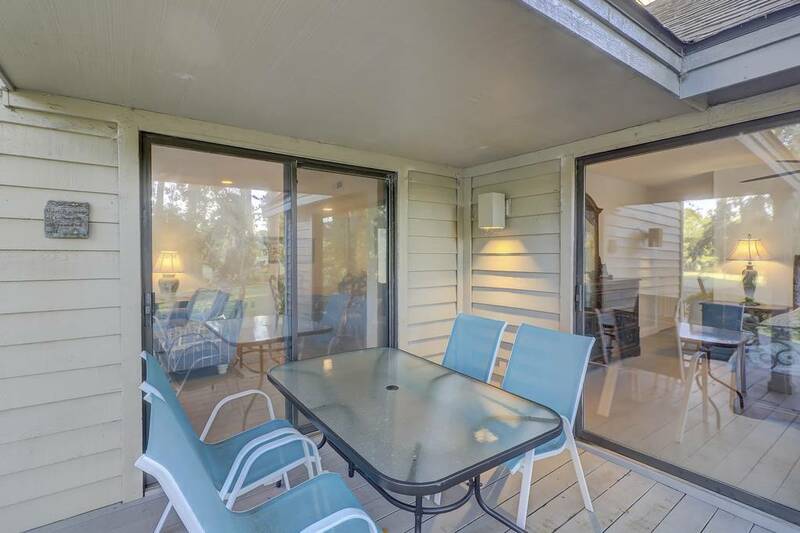 Wrap around deck with golf views from almost every room and very close to the community pool. Remodeled Kitchen has new appliances, new cabinets and new floors. The unit has nice updated bathrooms with new tile and new fixtures. It features comfortable furniture and furnishings throughout. Living room has two sliding glass doors that go out to the large wrap around patio with great golf course views. The Living room has a new 55 inch TV with cable and Blue Ray player will maximize your entertainment pleasure. There is a new fold out couch in the living room to accommodate additional guests. A large beautifully remodeled kitchen is just off the living room and dining area. The kitchen features new appliances and is fully stocked with utensils to cook and prepare any meal for the family. Laundry is just off the kitchen with full size washer and dryer. Master suite is on the main floor with full updated bathroom, sliding glass door to the large deck and serene nature and golf course views. Master has king size bed, a 40 inch flat screen TV with cable and phone. Upstairs are two bedrooms and two full baths. One guest room has two bunk beds (doubles on the bottom and twins on the top) and 32 inch flat screen TV and cable and DVD player for the kid’s entertainment. Each bedroom has a full bath, so there is plenty of room for showers and teeth brushing at night. The second guest room has a King size bed and also has cable and a 32 inch flat screen TV. The Greens in Shipyard is a great location. You can walk to the world famous Hilton Head Island beach, the Sonesta Hotel Resort, which has restaurants and bars located in the hotel, or the Van Der Meer tennis center. Shipyard Golf Club has 27 holes of golf in the plantation. 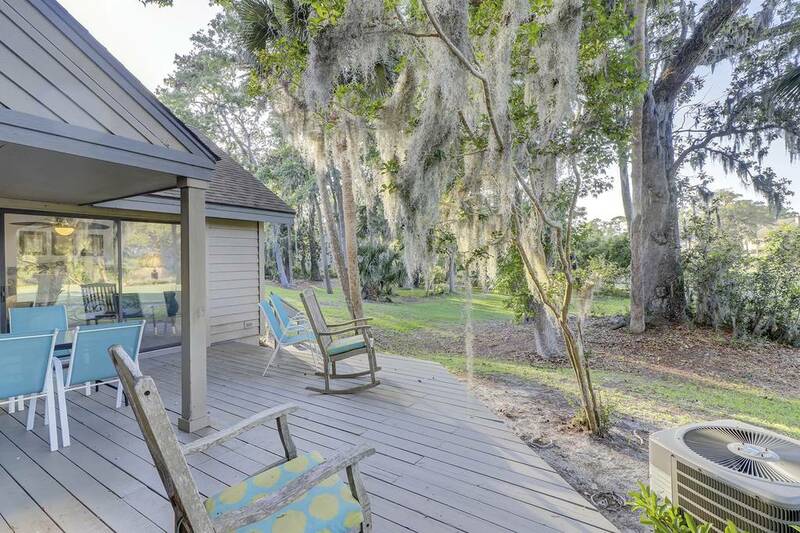 There are also 30 golf courses within minutes of Shipyard Plantation. 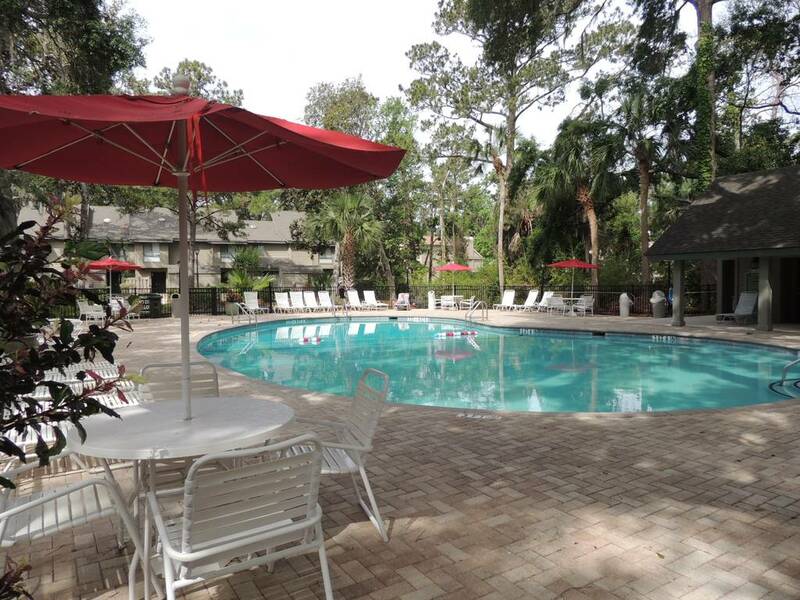 This wonderful townhome, new on the rental market, is perfectly located near the community pool, close to beach parking and access, convenient bike paths, neighboring tennis courts, excellent restaurants and it is on the golf course. What more would you want from a vacation home? Book online on our secure site or call today to make your reservation. Enjoy your vacation here at The Greens, in Shipyard Plantation on Hilton Head Island!! This entry was posted on 05/08/2017 by Emmett Hawkins.